Jessy Mendiola is a Filipina television and film actress. She is best known for her starring role in the 2013 Philippine telenovela Maria Mercedes. She also played starring roles in Maalaala Mo Kaya: “Marriage Contract” and Wansapanataym: “Kakambal Ko’y Manika”. She also played Jacqueline Marasigan in the primetime TV show, Budoy, opposite Enrique Gil and Gerald Anderson. 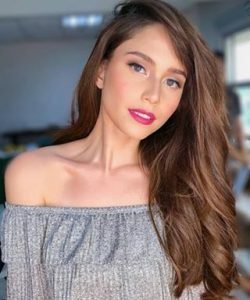 Born Jessica Mendiola Tawile on December 3, 1992 in Dubai, United Arab Emirates, to parents Didith Garvida and Roger Tawile, she has two sisters, one younger and one older. Jessica moved with her mother and her elder sister Pamela to the Philippines at the age of 3. She attended at Far Eastern University to studied mass communication. She was in a relationship with co-star Matteo Guidicelli, and host and actor Luis Manzano. *She was born on December 3, 1992 in Dubai, United Arab Emirates. *She was born to a Filipino mother and a half Lebanese, half British father. *In 2016, she was placed at #1 in the list of Sexiest Woman in the Philippines by FHM Philippines.